Wood bearings are ready to ship! This wooden hanger bearing can be made for your manufacturing application. Lignum Vitae Wood Bearings are available for all types of applications. Lignum Vitae Bearings can be purchased when ever you need a reliable wood bearing. Because Lignum Vitae is the hardest wood, low friction and high load capacity it is an ideal bearing material. Blocks, raw material and cylinders are available for your specific applications. Annual contracts of large volumes are encouraged.  Lignum Vitae is exceptional as a water lubricated bearing. Applications: Hydro, Marine, Water and Wastewater Treatment Plants, Stern Tube, Thrust, Clean Bearings- No Moving Parts, Industrial, SKF, Replace Maple Wood Bearings. ▪ Class III — bearings made of materials that are the lubricant. These bearings are typically considered “self-lubricating” and can run without an external lubricant. The Janka hardness test measures the resistance of a type of wood to withstand denting and wear. It measures the force required to embed an 11.28 mm (0.444 in) steel ball into wood to half the ball’s diameter. This method leaves an indentation. The results are stated in various ways, which can lead to confusion, especially when the name of the actual units employed is often not attached. In the United States, the measurement is in pounds-force (lbf). In Sweden it is in a kilograms-force(kgf), and in Australia, either in (N) or kilonewtons (kN). Sometimes the results are treated as units, for example “660 Janka”. 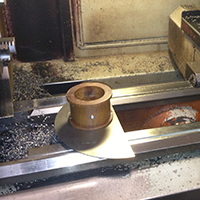 Lignum Vitae is 3 times the hardest of Maple bearings and is self-lubricating. Maple bearings are currently impregnated with oil, grease, or wax that can’t match the lubricity or low friction that Lignum Vitae offers. If you are using Maple bearings as a screw, roll or conveying machinery bearing for agriculture try Lignum Vitae wood bearings and enjoy much longer life from the bearing, less downtime and better operation. Lignum Vitae can be made into all sorts of sizes, shapes and applications. Arguto® and Popco oil-impregnated wood bearings. Lignum Vitae is regarded by most to be both the heaviest and hardest wood in the world. Its durability in submerged or ground-contact applications is also exceptional. Lignum Vitae has been used for propeller shaft bearings on ships, and its natural oils provide self-lubrication that gives the wood excellent wear resistance.